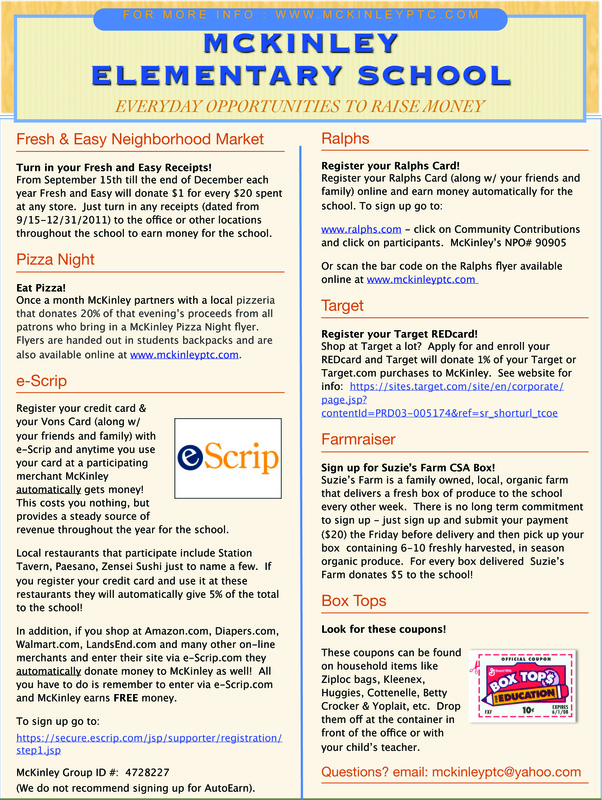 Check out the many ways you can help raise money for McKinley all year long. If you shop at Ralphs, Vons, Target, Fresh & Easy, Amazon.com and many other locations, you can be earning money for McKinley every time you shop. They only take a few minutes to set up–so please take advantage of at least one of these suggestions today!